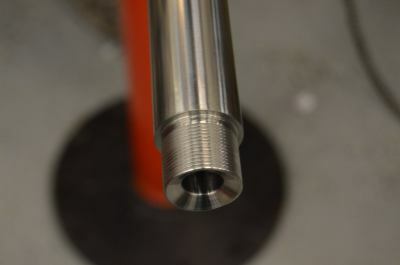 ​Our barrels are gundrilled with counter rotating gundrilling system. This sets us separate from the other barrel maker's out there that drill with a stationary drill with the barrel rotating. With the drill spinning the opposite direction of the barrel steel, the drill is able to stay more coaxial to the core of the material. Our barrels currently are all 6 groove. They feature a 25% land to groove ratio. Barrel life is no shorter than a 4 groove. We feel that the 6 grooves at the 25% land to groove ratio help to not distort the bullet as much as a wider 4 groove barrel. Please visit www.blakebarrel.com for more information​ or submit a form.